MEDICINE. Whitening or greying of the hair. 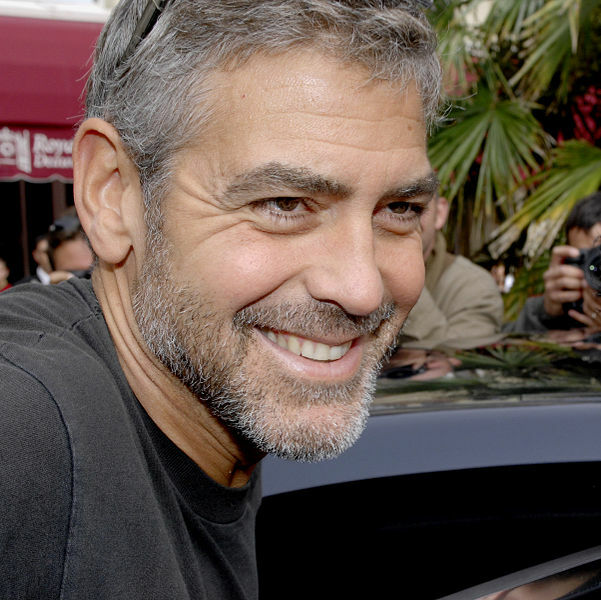 Grey hair - canities - holds no fear for the self-assured man, especially with grey-haired pretty boys such as George Clooney blazing the silver trail. And it's a pleasingly neutral word, unlike the etymology of alopecia, which quite frankly is just insulting. Do you have any favourite becanitied celebrities? Do please white your comments in the box below. Hm ... I hadn't really thought about the original colour affecting how well grey suits you. However, am I right in thinking that fair hair is easier to dye if you really don't the grey? When you see a dark haired man who's dyed his hair to keep it dark, it always looks *terrible* (Paul McCartney and Silvio Burlusconi spring to mind). But then I really don't know what I'm talking about - this is why I didn't become a fashion blogger. Depends on the person who's dyeing it, I think. Because I used to have a professor with yellow hair. Not white, not what I expect to be his original blonde hair, but sunshine-y yellow. So ... if you have two equally skilled hair-dyerers (! ), would fair and dark hair look equally as good when dyed back to its original colour? There are distinguished silver threads, and then there's badger. Do you know what a female badger is called? No? That's because THEY'RE INVISIBLE. Mind you, I think I'd be even more worried if I'd started turning into George Clooney. A badgette ... no, wait ... gimme a second ... a badgesse ... or ... um ... a badgerina ... no that's just silly. OK - I give up. What's a female badger called? A sow. Mind you, if you live in Hertfordshire and are called Sally that's what people have an unfortunate (if short-lived) habit of calling you anyway. A sow? That's very interesting. I think it's also what you get called if you live in Birmingham and your name is Sue. It's nice to see real men embracing the silver fox look. Of course I will give George a run for his money. Do send in a pic to Lexicolatry when that day comes, T1! I wonder.... Do you have any white or grey Ed? I don't know your exact age but with the knowledge you secrete, you must be positivity ancient. Or ah be your just ahead of our time. Secreting knowledge? That sounds ... so wrong ... on several different levels! And no - no grey hair yet (that I'm aware of). I'm in my mid-30s so perhaps the day isn't too far away though. Ok, somebody has to ask it! Why is grey hair considered distinguished on a man, but not on a woman? I'd say: "yet another unachievable beauty ideal women like to pursue: forever youthful hair", but the other day my mum was talking about eventually letting the grey ones win and my dad's face turned so sour it made us all tear up. So it's universal: women can't look old (er). Actually, no. Most greying women I know want to get rid of the dye! ... Men? Jingles, you're entirely right as usual. I feel equality between the sexes is awry and wonky in almost every single facet of life. For example, whenever I indulge myself with a little verbal or physical rampage, I have almost no glands to blame afterwards. I was reading an article this morning about evolutionary theory in the profiles of dating sites on the internet. Basically, it posited that a man must display success and the ability to provide materially (which grey hair can), while women must display health and the ability to bear children (which grey hair doesn't). Personally, I feel that it's a bad idea to mention (let alone try to apply) evolutionary theory at any point during the dating process.